The Economics of IoT - Vaxa Inc. Sensors are coming to their own as the Internet of Things or IoT has gained traction recently. The idea of sensors being used to to provide data that measures, controls and manages operation is not new and has been around for a long time. What is slowly emerging about how we think of sensors is the ability to interconnect the technology and transform their data into information that can have not just broader and deeper operational but also fiscal implications to organizations. This has always been the vision but now the reality is closer as sensors become more pervasive in almost all aspects of business and in our personal lives. Manufacturing assets have been incorporating sensors for more than 50 years as production and inventory management systems use the data coming from embedded sensors to control machines and track parts being made in-house and those arriving just-in-time. Before the idea of IoT, Rolls Royce has been designing its engines with in-built sensors to track the health of thousands of engines worldwide through live satellite feeds. The difference today is the advancement and value the internet is creating and advancements in software and analytics. The single event that accelerated IoT is the consumerization of sensors in wearable activity trackers and their promise to affect individual and large populations health and wellness. That benefit has not materialized--yet! There are many surmountable challenges in the consumer segment. In the immediate term, there are broader and higher economic value of sensors in corporate applications that cannot be ignored. IoT captures the imagination of the what is possible from the proliferation of sensors but, with this potential also comes significant issues that is not just ﻿﻿﻿﻿﻿﻿technological but also ﻿﻿﻿﻿﻿organizational and by implication, ﻿﻿﻿leadership considerations. The future of IoT depends to a large extent on advances in core semiconductor and networking technologies, software and analytics, and business value. Place graphic here from Texas Instrument - create grid of their applications. In manufacturing worldwide, new information technologies are offering not only to make the management of manufacturing more effective, as with enterprise software, but the work itself smarter. IoT can radically improve visibility in manufacturing where visibility can be down to the part level. Batch-level visibility is being replaced by unit-level visibility. But, the industry is some way from getting there. In a recent survey of over four hundred manufacturing companies in North America and Europe, about 50% of the respondents expect to have visibility across the supply chain at the unit level. Only 10% predict they’ll still be limited to single factory-level insights and control—a drop of 75% from today. In the emerging smart manufacturing ecosystem, it includes proactive and autonomic analytics capabilities, making it intelligent and self-sustaining. It transforms businesses into proactive, autonomic organizations that predict and fix potentially disruptive issues, evolve operations and delight customers, while increasing the financial performance of the organization. 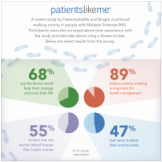 We are looking at wearables and its potential uses in Population Health Management. The potential is very significant for activity trackers or wearable biosensors to impact clinical trials in one of the most tangible ways--reducing the rising cost of drugs and healthcare in general. 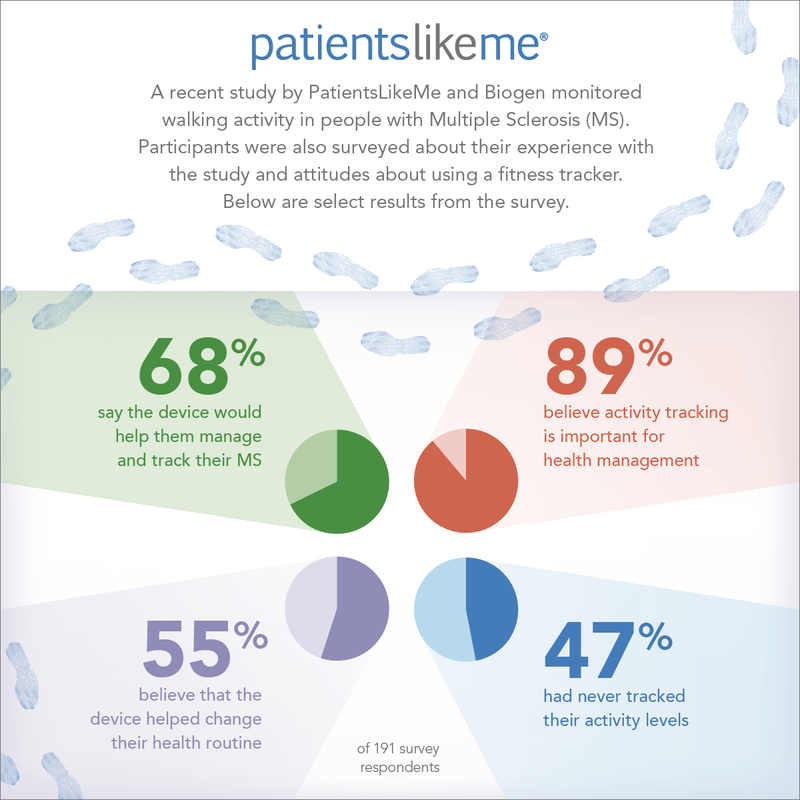 Multiple Sclerosis patients survey on using wearable sensors.